Challenge your scouts to perform Random Acts of Kindness in your community. 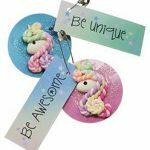 Help your troop brainstorm ideas of things that will be kind. Remind scouts that Random Acts of Kindness don’t need to be elaborate service projects or planned activities. Something as simple as sharing a snack with someone in school who seems lonely is a kind thing to do. Your troop can set their own criteria to earn this cute patch. Perhaps your scouts will decide to share a random acts of kindness once a month for a year or every day for a week. 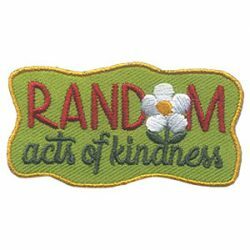 The Random Acts of Kindness Patch from MakingFriends®.com makes a great addition to any patch collection.